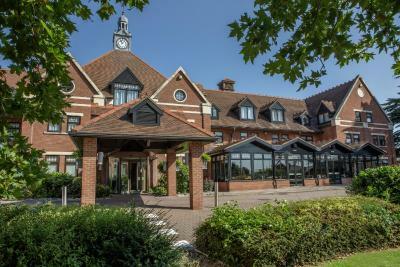 Lock in a great price for DoubleTree by Hilton Stratford-upon-Avon, United Kingdom – rated 8.8 by recent guests! 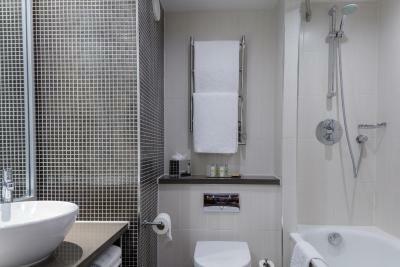 Staff were very nice and welcoming, and rooms were lovely and clean with nice bathrooms. Staff at reception were really friendly and helpful. 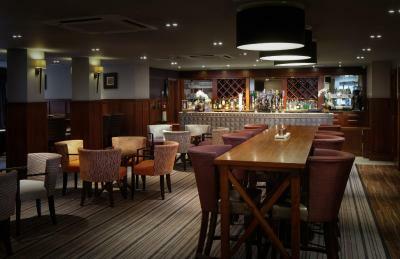 The location was great as the hotel is close to the station but also within walking distance of the town centre. Breakfast was absolutely delicious and there was a wide range of choices. 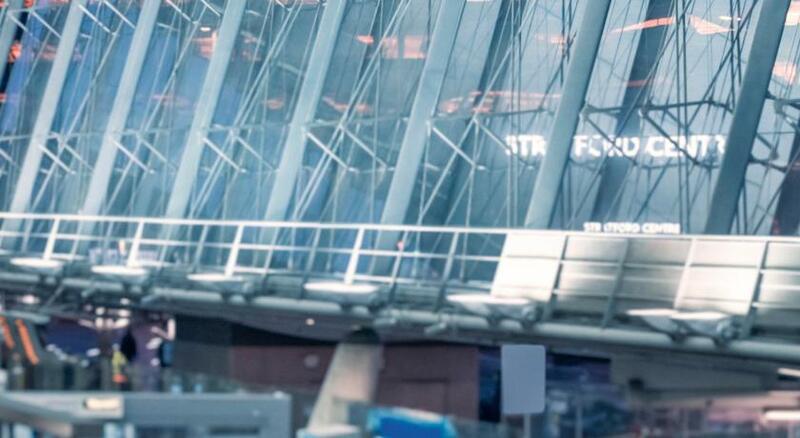 I will definitely be returning for another stay in the future. Location was great and reception staff very helpful. The bar had a good atmosphere on the night I stayed. Everything. Big rooms very confortable. Will go again! We came from philippines our children gave as this gift of travel to uk and we have visited places and took tours in cities in uk. We love bath, London,Derby, Cambridge, Cotswold,Ely, Manchester, Edinbrugh, and many more as this is our 3rd trip here. By far we love this place and the hotel is perfect for us. Leaisurely visit minutes to citycenter. Would love to come back with our children comes september2018 ! Excellent location, great breakfast, helpful and friendly staff. Location was great. We had a hard time finding the on-off tour bus stop...at the regular bus stop right across the street. The sign was one sided facing town. We asked several people and no one knew where it was. The man at the desk was great. We had a hard time figuring out the barrier to the parking lot until the gardener came to our rescue. Breakfast was fine. The room was spacious clean & tidy nice tv, air con not very good, better ventilation with window open, bed quite good liked soft pillows, bathroom shower very good changing temperature easy to alter, hanging of clothes & draw storage more than adequate. 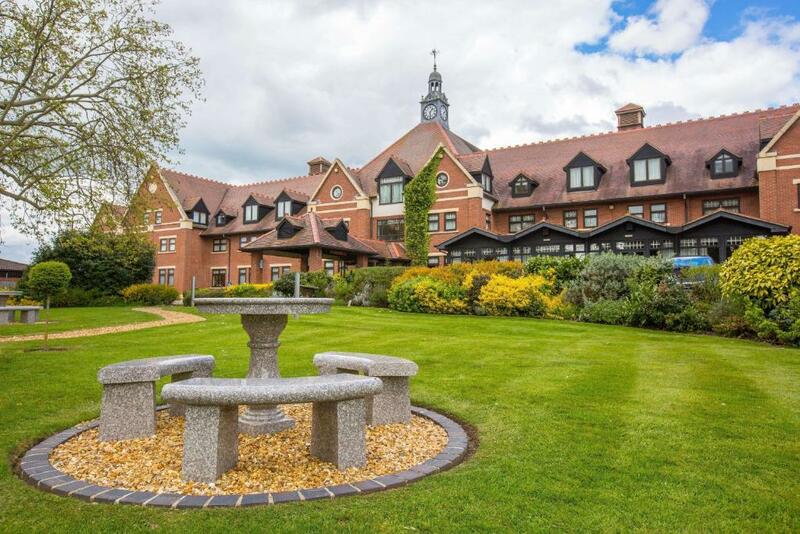 DoubleTree by Hilton Stratford-upon-Avon, United Kingdom This rating is a reflection of how the property compares to the industry standard when it comes to price, facilities and services available. It's based on a self-evaluation by the property. Use this rating to help choose your stay! 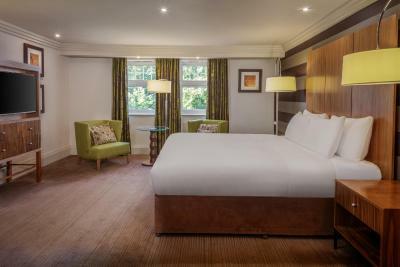 One of our top picks in Stratford-upon-Avon.In the heart of historic Stratford-upon-Avon, the award-winning The DoubleTree by Hilton Stratford-upon-Avon, United Kingdom is a boutique hotel that offers rooms with a plasma TV. 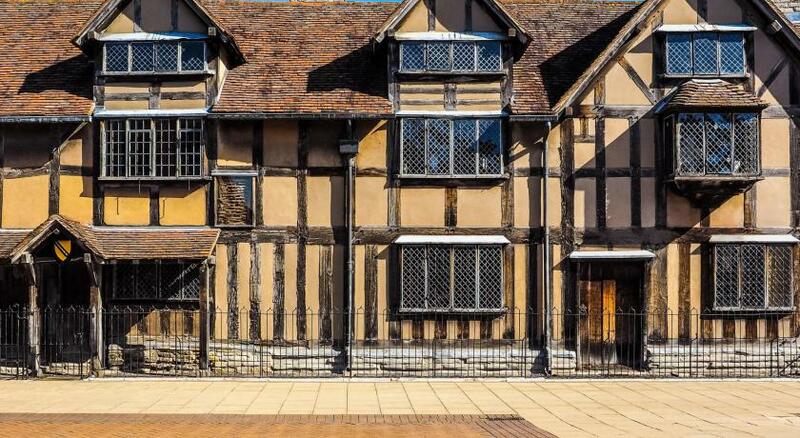 It is just 10 minutes’ walk from the Royal Shakespeare Theater. Quills Restaurant serves seasonal menus using fresh produce, and offers special pre-theater dining. The elegant bar offers beverages and snacks, and a breakfast buffet is available daily. 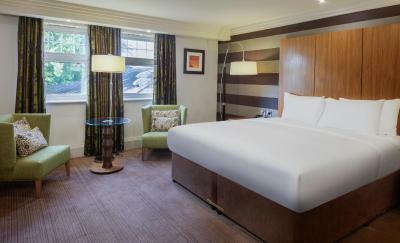 DoubleTree by Hilton Stratford-upon-Avon, United Kingdom is within an hour’s drive of The Cotswolds and the Malvern Hills. Junction 15 of the M40 is a 5-minute drive away, and Stratford-upon-Avon Railway Station is a short walk away. 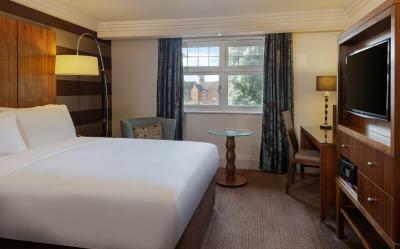 When would you like to stay at DoubleTree by Hilton Stratford-upon-Avon, United Kingdom? 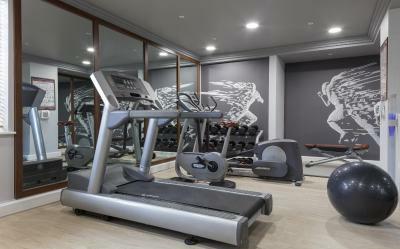 House Rules DoubleTree by Hilton Stratford-upon-Avon, United Kingdom takes special requests – add in the next step! 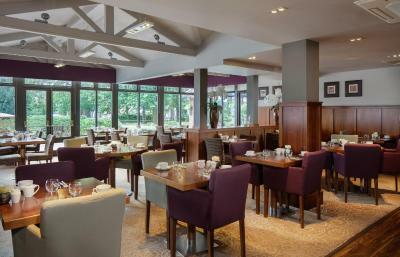 DoubleTree by Hilton Stratford-upon-Avon, United Kingdom accepts these cards and reserves the right to temporarily hold an amount prior to arrival. Children aged 16 years and younger that have their own room will be charged the full price for accommodations. Children aged 16 years and younger that are sharing their parents room are not charged for accommodations, but will be charged for meals where applicable. When traveling with a dog, please note that an extra charge of GBP 20 per night applies. 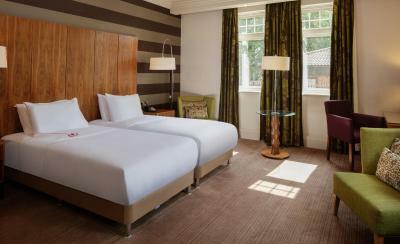 Please note that bedrooms are individually decorated, and photos are for illustrative purposes only. Your bedroom may vary to those pictured, dependent on the room type you book. The booking was paid for twice and they took £50 off my card 'just in case' apparently, that needed to be refunded. Leon was great and helpful, despite taking additional money from our account. Location, staff, spacious, and cookies. Very convenient location only a few minutes to the centre of Stratford and the theatres, restaurants and shops. Nice quiet garden. Staff on front desk excellent. Just a short walk into the centre but far enough away for peace and quiet. The staff were very professional and always smiling. This hotel is pet friendly and all the dogs I saw were well behaved. Comfy bed, clean, relaxed and friendly staff. Only downside was having to pay for parking - which is obviously normal for majority of places. Staff were helpful and friendly, hotel was perfectly positioned and set in lovely grounds where you could sit peacefully either in the sun or shade. The hotel met all our requirements, also both the restaurant and room service were spot on! The room was spacious, hotel well laid out no access problems. Staff were exceptional. We were given warm cookies upon arrival which were amazing, it was in a good location only a 5-10 minute walk from the town centre and the room was clean and a decent size.